We accept all Mercedes-Benz lease returns regardless of which dealership you leased the vehicle from. 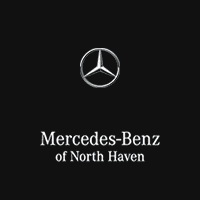 Mercedes-Benz of North Haven is your lease return facilitator. If your lease is maturing soon, we suggest having a pre-inspection of your vehicle conducted. This inspection will evaluate your vehicle’s condition using Vehicle Condition Guidelines. After inspection, we’ll provide you with a Vehicle Inspection Report, documenting your vehicle’s condition at that time. With this information you can choose to repair any damages, if any, prior to your lease return. This is the same criteria that will be used for your final vehicle inspection at turn-in. We will also determine your vehicle’s value and provide you with time and money-saving options. Mercedes-Benz of North Haven wants to help. Call us at 203-239-1313 and ask to speak to a Lease Loyalty Specialist. We’ll be glad to go over all the options available for you.